Associations are the cornerstones of EURAO. They have the responsability but also the great privilege of being pioneers in this collaborative project, building up the Organization. From small radio clubs to large national associations, everyone can belong to this fantastic community, of thousands radio amateurs, designing and participating in new projects. For an annual fee of 150 EUR, member associations will get access to common benefits and shared services for all their members, such as: EuroBureauQSL, TV Channel, etc. 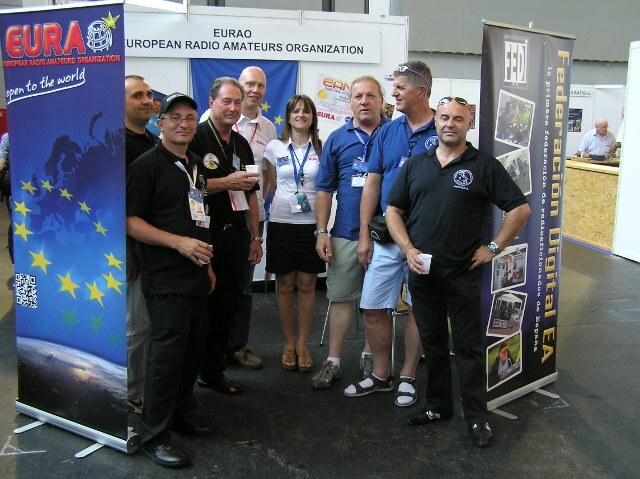 You will find in the left hand side menu, under "Membership" - "Association" options, information about all member associations that have already joined EURAO, a federation like organization. Belonging EURAO is quite easy: just fill and sign the Joining Application .